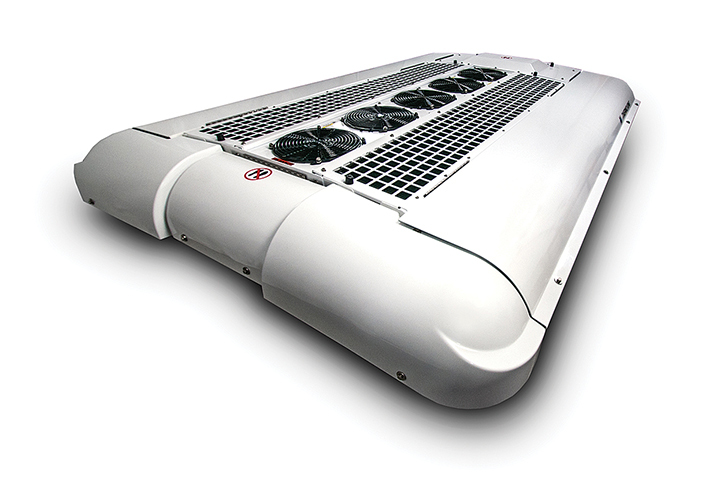 How do you go about increasing HVAC power and efficiency without sacrificing passenger comfort? The battery bus manufacturers are asking us to decrease HVAC power. Efficiency improvements in the HVAC system will reduce power. The available power must be managed effectively but at some point, a reduction in power will mean a decrease in the amount of cooling. 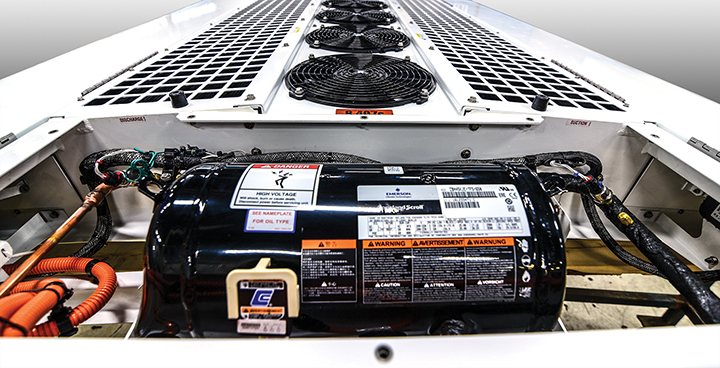 The reality is that the users still expect the same amount of cooling and not everyone has made the connection between the HVAC energy requirements and the range of the bus. For the zero-emission vehicles to completely take over the duty cycle of a diesel engine driven bus, there will have to be some trade-offs and one of those could be less than ideal interior cabin temperatures. Another could be our expectations on what the acceptable range is for the battery bus. Users are learning quickly that variables like hills and hours idling in traffic can significantly affect range. In the future we could see new definitions for range expectations and passenger comfort. What are the latest eco-friendly developments in HVAC technology and componentry? For conventional units, any strategy that reduces the load on the engine thereby reducing emissions is considered eco-friendly. This would include variable speed air movers, unloading compressors and programs that limit the amount of time the unit spends in the reheat mode where heat is introduced into the AC system for dehumidification. For the emerging Zero Emission Bus segment it would obviously be all-electric HVAC. Systems must be smaller and highly efficient. Strategies that conserve energy by only using the amount of energy required under any given condition will be required. Variable speed air movers and variable speed electric compressors will play a key role in these strategies. How is HVAC technology advancing to ensure better durability and reliability? All-electric HVAC brings better durability and reliability by design. Mechanical compressors, clutches, hoses and most fittings are eliminated. Evacuation and charging can be done at the factory for hermetically sealed systems. There is no need to plumb the system together, evacuate or charge it in the field where the likelihood of an error occurring is much greater. Conventional, engine driven systems will be around for some time to come and suppliers should continue their efforts in providing components that require little or no maintenance. Good examples being brushless motors, clutches with sealed bearings and low refrigerant leak rates. What role does HVAC system and component efficiency play in electric vehicles? 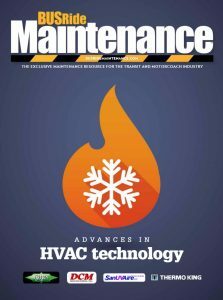 What role does all-electric power play in HVAC maintenance? With the deployment of zero-emission buses that use the battery as the power source, users quickly learned that the HVAC is usually the largest single load on the battery, giving system and component efficiency a very significant role. The industry still needs to establish benchmarks and set efficiency objectives for all of the electric accessories. We have accepted that what “good” looks like is a 100-150 mile range from the battery, but we are struggling with how to do that consistently. By removing mechanical components that break and need to be checked every 6,000 or 12,000 miles, and replacing these with electrically powered components, maintenance costs can drop by as much as 50 percent. Technicians will need additional training on the all-electric systems. Suppliers will have to provide more sophisticated diagnostic tools. We are likely to see more “black boxes” in future systems. How are HVAC manufacturers mitigating noise pollution to ensure passenger comfort as well as comfort for the community? External noise that affects the community comes down significantly once the engine is gone, leaving the HVAC condenser fans as the primary noise source when the bus is not moving. Most HVAC suppliers globally can meet the levels specified in local ordinances using various strategies including Geo-Fencing where the fan speed automatically drops in quiet zones. Most designs have moved from two set speeds to variable speed fans that can be programmed. The noise pollution most frequently discussed is about the noise level inside the bus cabin. The engine masked the HVAC fan noise. Now, when a battery bus is not moving, it is the HVAC fan noise that passengers notice most. Tones, pitches, frequencies and harmonics can influence how the noise is received by the human ear. These areas can be addressed with noise abatement strategies, HVAC system designs that allow for larger air movers than can be turned slower and the air delivery system (ducts) of the bus is where we must focus. This will be a collaborative effort for sure. Now that noise has our attention, the Transit specifications will help drive improvements.